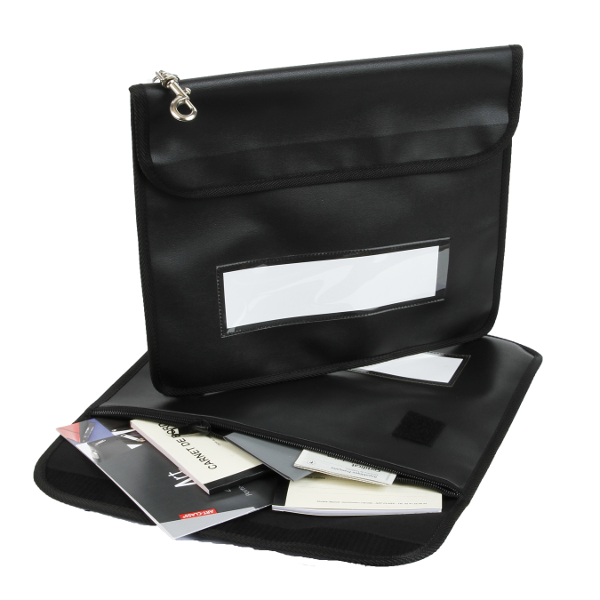 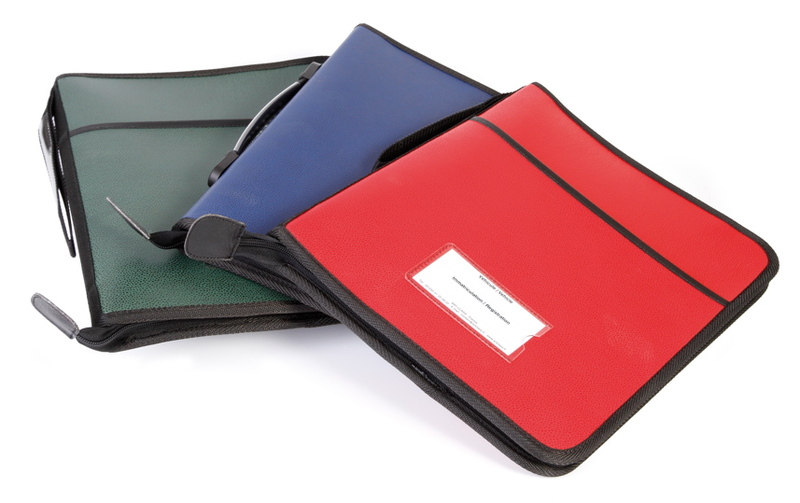 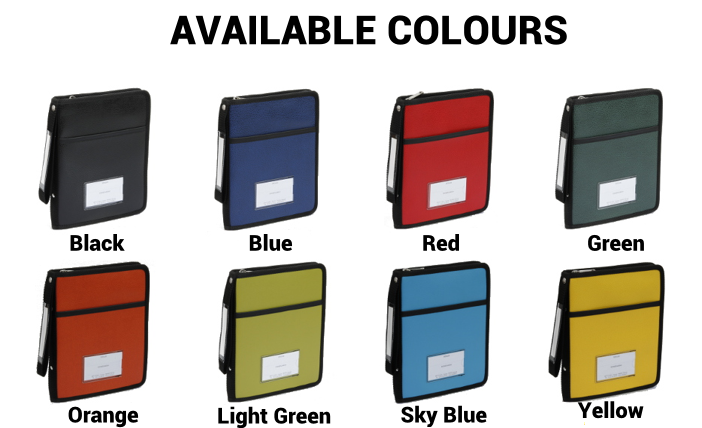 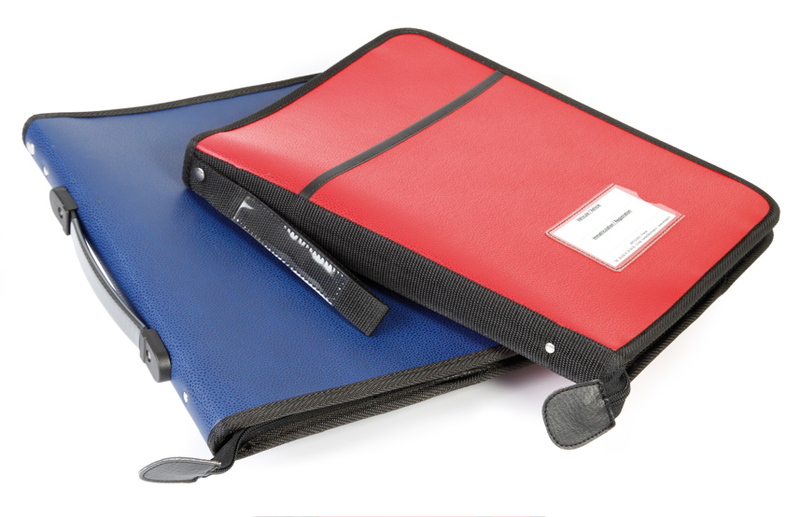 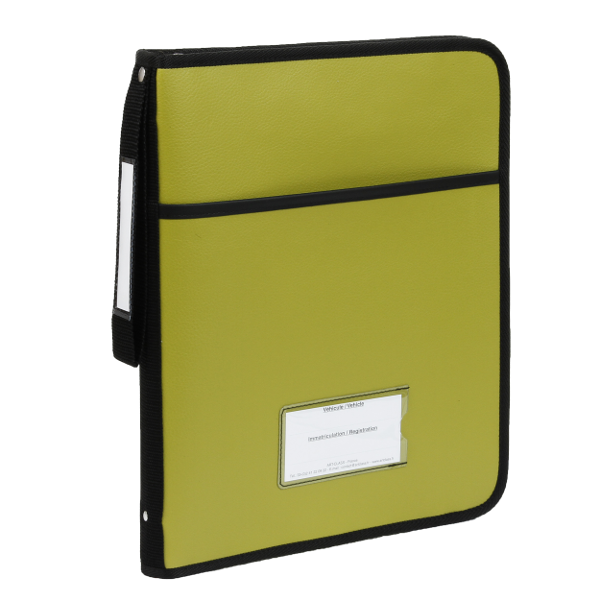 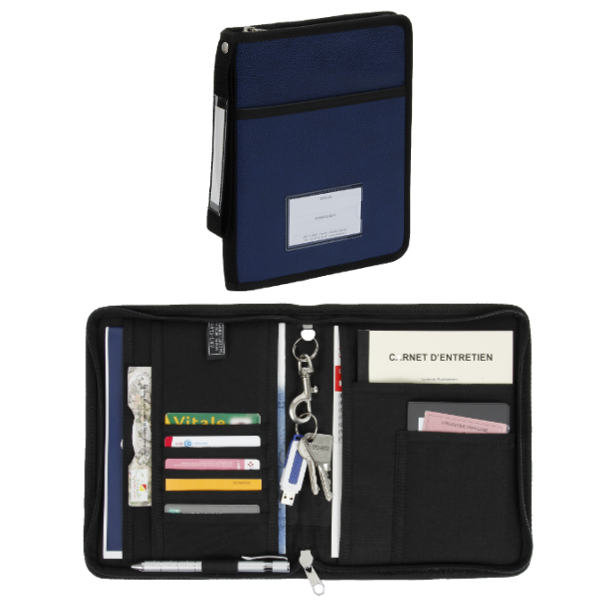 The document holder WITH WRIST STRAP is made from ultra resistant PVC coated canvas and is waterproof and washable. 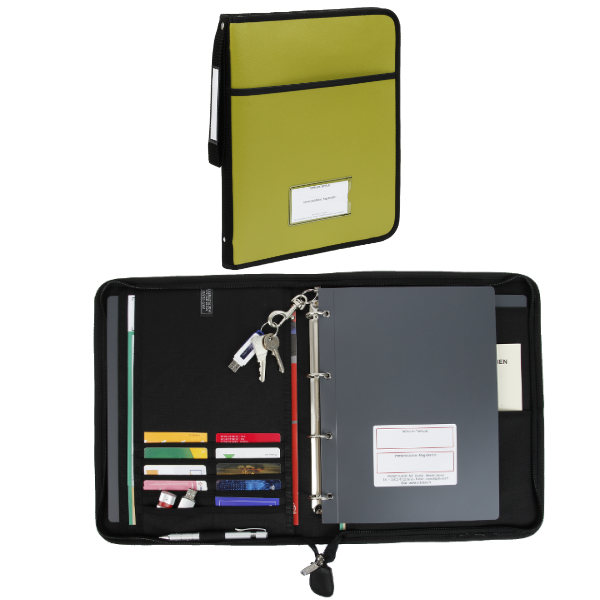 1 carabiner key ring, 1 front pocket with 1 card holder, 1 back support, 1 wrist strap with label holder, 1 ring binder, 1 multiview display pocket and a rear clip. 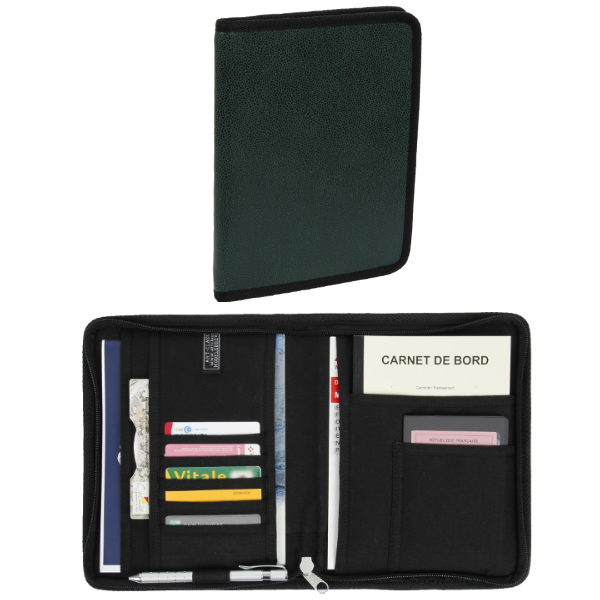 Organization : 10 card holders, 3 document pockets to the left and 2 to the right, 1 pen holder, 1 telephone holder, 3 tachograph disk holders. 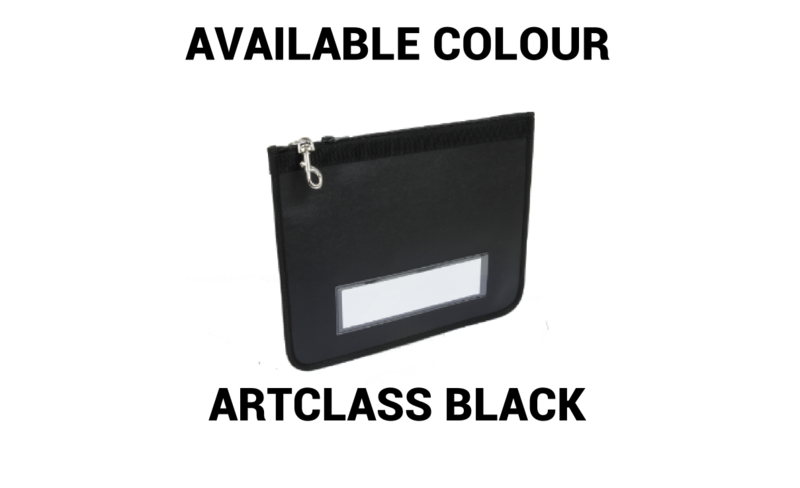 Made from ultra resistant PVC coated canvas, washable and waterproof. 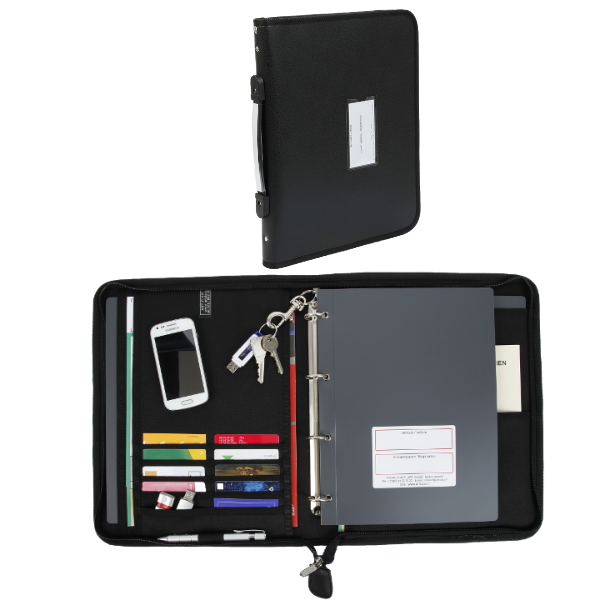 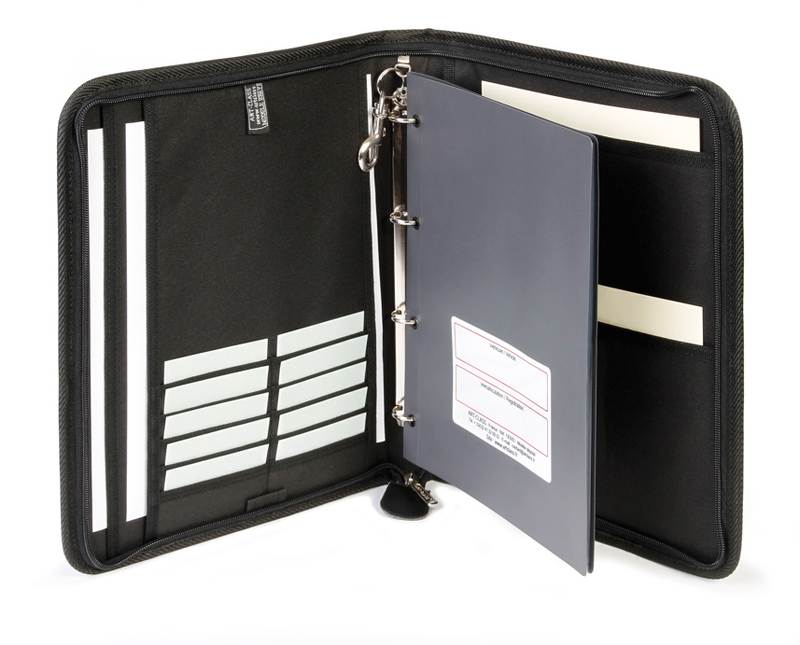 Option : brand your document holder with your company logo.